In an eventful month with the Kim-Trump Summit, what are China’s long-term security goals in the Indo-Pacific region? What are the threats to the US-China trade relationship? And what role can public diplomacy play in times of tension? Have US and China have managed to avoid a trade war? When China and US established diplomatic relations almost 40 years ago, the bilateral trade volume was only USD$ 2.5 billion (AUD$ 3.4 billion), and last year it reached USD$ 580 billion, 232 times more, which suggests that the reciprocal nature of the China-US trade relations has not changed. China-US economic cooperation and trade will continue to ensure that bilateral ties keep moving forward in a steady way. As the two major powers in the world, it is natural that China and US have different views on certain issues. The Chinese side believes that China and the US are capable and wise enough to properly manage their differences, which is surely more in line with the interests of the two countries and their peoples, and better for the world at large. In dealing with the China-US trade disputes, China has always promoted consultation in an active and pragmatic manner, with the larger picture of China-US relations in mind. The two sides once achieved results and formulated a very clear consultation road map and timetable. The Chinese side believes that the previous consultations are positive and constructive, and serve the interests of both peoples. However, the US side chose to abandon its previous consensus with China and reignite the trade war. Its actions betrayed the trust of everyone, hurt the interests of the people and business communities on the two sides, and worked against the benefits of the people around the world. Though a trade war is not something we want, we are definitely not afraid of one. We will continue to take effective measures to firmly safeguard the interests of our nation and our people and resolutely uphold the economic globalisation and the multilateral trading system. No matter what happens outside China, we will continue to move forward our reform and opening-up endeavours, pursue high-quality economic growth and accelerate the building of a modern economic system, following our set pace and always placing the people at the centre of all our efforts. China is committed to promoting peace and stability in this region. It follows the path of peaceful development and the mutually beneficial strategy of opening up and it pursues friendly cooperation with all countries on the basis of the Five Principles of Peaceful Coexistence. It has participated in regional cooperation in an all-round way and taken active steps in response to both traditional and non-traditional security challenges, contributing to lasting peace and common prosperity in the Asia-Pacific region. China is devoted to the achievement of Common, Comprehensive, Cooperative and Sustainable Security in the Asia-Pacific. Common security means respecting and ensuring the security of each and every country involved. We cannot just have the security of one or some countries while leaving the rest insecure, still less should we seek “absolute security” of oneself at the expense of the security of others. Comprehensive security means upholding security in both traditional and non-traditional fields. Cooperative security means promoting the security of both individual countries and the region as a whole through dialogue and cooperation. Sustainable security means that the countries involved need to focus on both development and security to realise durable security. In order to achieve that goal, first, we should promote common development and lay a solid economic foundation for peace and stability in the Asia-Pacific region. To enhance the convergence of economic interests is an important basis for sound state-to-state relations. Common development provides a fundamental safeguard for peace and stability, and holds the key to various security issues. Second, we should promote the building of partnerships and strengthen the political foundation for peace and stability in the Asia-Pacific region. All countries should make joint efforts to pursue a new path of dialogue instead of confrontation and pursue partnerships rather than alliances, and build an Asia-Pacific partnership featuring mutual trust, inclusiveness and mutually beneficial cooperation. Third, we should improve the existing regional multilateral mechanisms and strengthen the framework for supporting peace and stability in the Asia-Pacific region. All parties concerned should adhere to multilateralism, oppose unilateralism, further support the development of regional multilateral security mechanisms, push for close coordination between relevant mechanisms, and play a bigger role in enhancing mutual understanding and trust, and expanding exchanges and cooperation in the field of security dialogues. Fourth, we should promote the rule-setting and improve the institutional safeguards for peace and stability in the Asia-Pacific region. International and regional rules should be discussed, formulated and observed by all countries concerned, rather than being dictated by any particular country. Fifth, we should intensify military exchanges and cooperation to offer more guarantees for peace and stability in the Asia-Pacific region. Sixth, we should properly resolve differences and disputes, and maintain a sound environment of peace and stability in the Asia-Pacific region. Most of the hotspot and sensitive issues in this region have been left over from history. To handle them, the countries in the region should follow the tradition of mutual respect, seeking common ground while reserving differences, and peaceful coexistence, and work to solve disputes properly and peacefully through direct negotiation and consultation. We should not allow old problems to hamper regional development and cooperation, and undermine mutual trust. On June 12, the landmark North Korea-US Summit achieved positive results that have been widely welcomed and valued over the world. North Korea and the US have been contradictory or even hostile to each other for more than half a century. The top leaders of the two countries sat down and engaged in equal dialogue, which in itself is of great and positive significance. It created history. China welcomes and supports this, for it is the goal that China has always pursued and worked hard for. China has always been firmly committed to the denuclearisation of the Korean Peninsula. At the same time, China believes that in promoting the denuclearisation of the Peninsula, it is necessary to attach importance to and resolve the legitimate security concerns of North Korea. The current process of political settlement of the Peninsula issue is moving in the direction of a “dual-track approach” to promote denuclearisation of the Peninsula and establish a peace regime in parallel proposed by the Chinese side. With the positive progress made in the denuclearisation process, relevant parties should also take active measures in establishing a peace mechanism on the peninsula and resolving the reasonable security concerns of North Korea. It can be said that China’s relevant ideas and initiatives as well as the close communication with all the relevant parties have played an active and constructive role in the development of the situation on the peninsula. As a major party and one of the co-signers of the Korean War Armistice Agreement, China has the responsibility and obligation to play its due role in replacing the armistice agreement with a peace mechanism. China will continue to take an active part in the peace process of the Peninsula and make due contributions to achieving the denuclearisation, establishing a peace mechanism and upholding peace and stability on the Peninsula. In times of tension, what can public diplomacy contribute? Funded in 1956, China Institute of International Studies (CIIS) is the first thinktank specialised in foreign policy and international studies in the People’s Republic of China and the only one of its kind attached to the Ministry of Foreign Affairs of China. Since its establishment, CIIS has built extensive exchange network with relevant internationally renowned think tanks and actively promoted Track II diplomacy activities. Public diplomacy activities, especially exchanges between think tanks, are conducive for promoting bilateral and multilateral policy communication and enhancing political mutual trust. When tensions occur, public diplomacy activities are able to lead the public to properly interpret the situation as well as relevant policies to reduce suspicion, eliminate misunderstanding, and increase mutual trust, and thus to remove the obstacles for Track I diplomacy. There are many such dialogue mechanisms between China and Australia, such as the China-Australia Cultural Dialogue, the China-Australia Annual Forum, the China-Australia Media Forum and the China-Australia Hospital Forum. CIIS has established sound exchange relations with the Australian Institute of International Affairs and is willing to forge closer cooperation with AIIA to help promote healthy and stable relations between China and Australia. Ambassador Qi Zhenhong is the President of the Chinese Institute of International Studies. He served as Chinese Ambassador to Bahrain from 2014-2017 and is the former Deputy Director-General of the General Office of the Chinese Ministry of Foreign Affairs. He visited AIIA National Office on 14 June 2018 for a Roundtable Discussion with a delegation from the China Institute of International Studies which discussed the implications of the US-North Korea summit for China, China’s long term security goals and relationships. 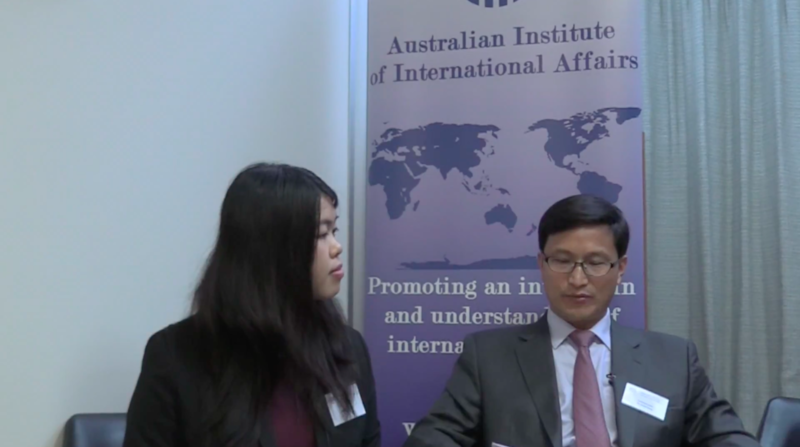 To hear his thoughts, you can also view an interview with Ambassador Qi by Australian Outlook editor Jasmine Gan. Interview by Jasmine Gan, Australian Outlook editor. Video and Photography by Tian Zhang. 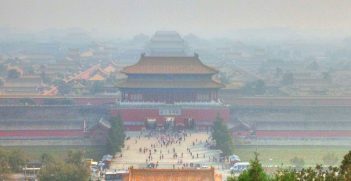 Despite the country’s bold outward appearance, socio-political cohesion in China is now more tenuous than ever and the Chinese Communist Party knows it. 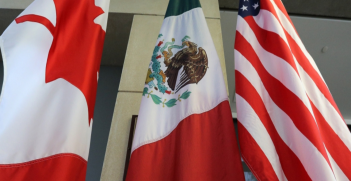 Now that the US-Mexico-Canada Agreement is a reality, Mexico and Canada can assess the extent of the damage. 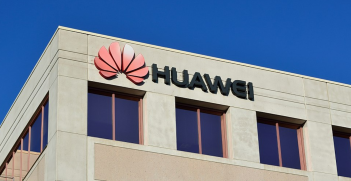 The arrest of Huawei's Meng Wanzhou and subsequent detention of two Canadians is creating headaches for Canada.